Integrabuild understand that addressing an asbestos problem can be stressful and sensitive and we are here to help you assess your situation and implement a solution. 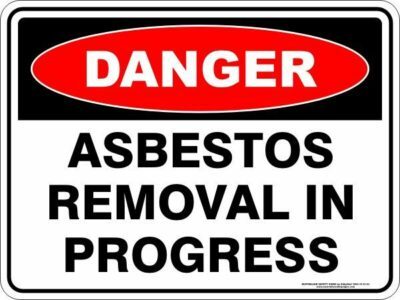 As the most experienced, fully licenced and insured asbestos demolition and removal company, our qualified team will handle your asbestos in a manner that is safe for you & your family, the removalist, the environment and the greater community. We service all of the Whitsundays region and beyond, regularly completing asbestos works from Mackay through to Townsville. Integrabuild undertake your asbestos removal with precision, efficiency and care giving you peace of mind knowing it was handled by professionals. We are the regions leader in safe and efficient asbestos demolition and removal. Contact us today for an obligation free assessment and quote. We cover jobs large and small for the residential sector, along with servicing industrial, commercial, insurance, government and local council operations. Having successfully completed works for hotels, large industrial sites along with institutional, council and government operations, tender works for large building companies and insurance work has become a focus for Integrabuild. 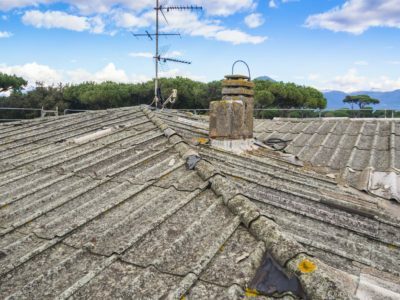 We can safely remove all forms of asbestos including: roofs/rooves, guttering, pipes, fences, eaves, soffits, textured and non-textured ceilings (including vermiculite), external and internal wall claddings, vinyl flooring, bathroom/garage/sheds and dog kennels, hardiboard, hardiplank, super 6 (six), cement sheet and electrical boxes containing contaminated boards. No job is too large or small, contact us today for an obligation free assessment and quote. Do I have asbestos in my home or workplace? Was your house, shed or office built before 1990? If so, it is likely that it would have some asbestos-containing materials. Approximately one third of all homes in Australia contain asbestos products. Are my family members and myself in any danger? Asbestos alone can be considered to be quite harmless. The potential problem begins when asbestos ages or is disrupted, such as during repairs, restoration or renovation projects. If the situation is not properly handled, asbestos can cause life-threatening illnesses. It is also illegal to remove more than 10 square metres of non-friable asbestos and hefty fines are issued if you engage an unlicensed person to handle and remove the asbestos. For the removal of more than 10 square metres of non-friable asbestos, you must engage a licensed removalist to handle or remove any asbestos. NOTE: If you are removing less than 10 square metres of non-friable asbestos it is still highly recommended that you engage a licensed removalist. There are unlicensed people in our region trying to make a quick buck by unlawfully dealing with asbestos and it’s often by putting themselves and others at risk. For that reason, Work Safe issue hefty fines to anyone appointing an unlicensed Asbestos Removalist. The hip pocket and health risks aren’t worth it!